For the past few weeks I have kept my house free and clear of tasty sweets while I ramped up my exercise and clean eating. Removing temptation is sometimes the only way I can get back on track with my eating habits when I fall off course a bit. I like to try to do an 80/20 balance-clean, healthy eating 80% of the time and all the fun “other” stuff 20% of the time. When that ratio falls more in the 50-50 zone I start to feel a bit yucky and need to reset. Unfortunately, while removing temptation from the house does me a world of good, it severely agitates the three little boys who like to get dessert every now and then. 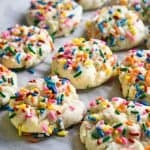 They were good sports for the past few weeks so I thought I’d whip them up a fast and easy sweet treat while they were at school yesterday-these yummy 4 ingredient Sprinkled Funfetti Cookies. Sometimes in life you just need an easy recipe. There are times and places for slaving away making something from scratch but every now and then we need a break, am I right?? 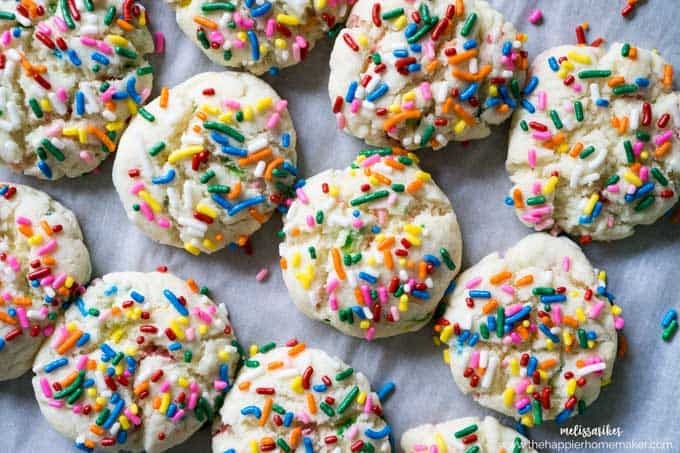 What I love about these cookies is there are only 4 ingredients, and in all honestly you could ditch the sprinkles if you needed to and make it 3 ingredients. 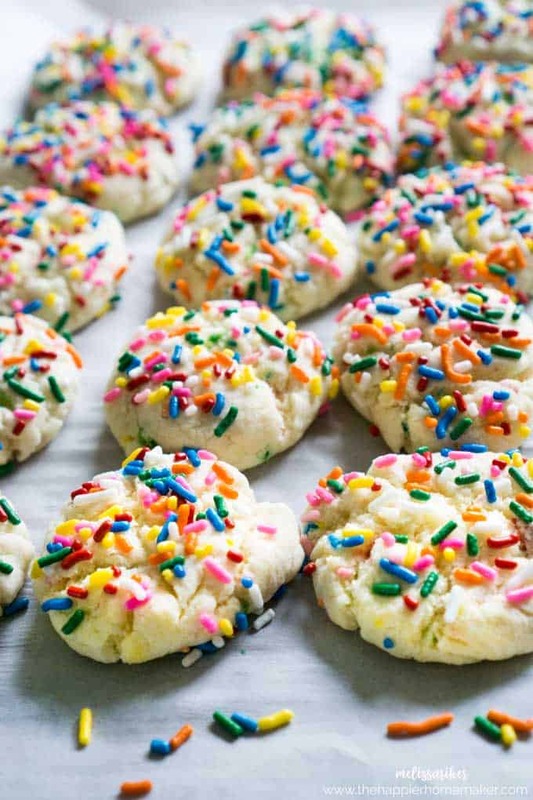 Starting with a Funfetti Cake Mix makes the whole recipe pull together in 5 minutes and they bake up in 8-so you’re looking at hot fresh cookies in under 15 minutes flat. It’s hard to beat that deal! Preheat oven to 350 degrees F. Line a baking sheet with parchment paper or spray lightly with nonstick spray. Mix cake mix, eggs, and oil in a medium bowl until blended. Dough will be very thick. Roll dough into 1-1/5″ balls then flatten slightly. 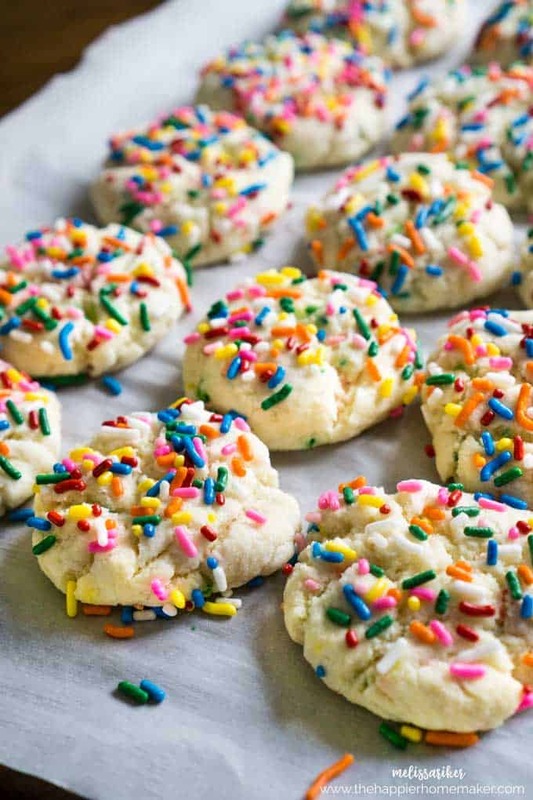 Empty sprinkles into a shallow dish and press cookie into the sprinkles to coat the top. Place on the prepared pan, keep cookies 2″ apart. Bake 8 minutes or until set and golden. Enjoy warm or keep in an airtight container up to one week. 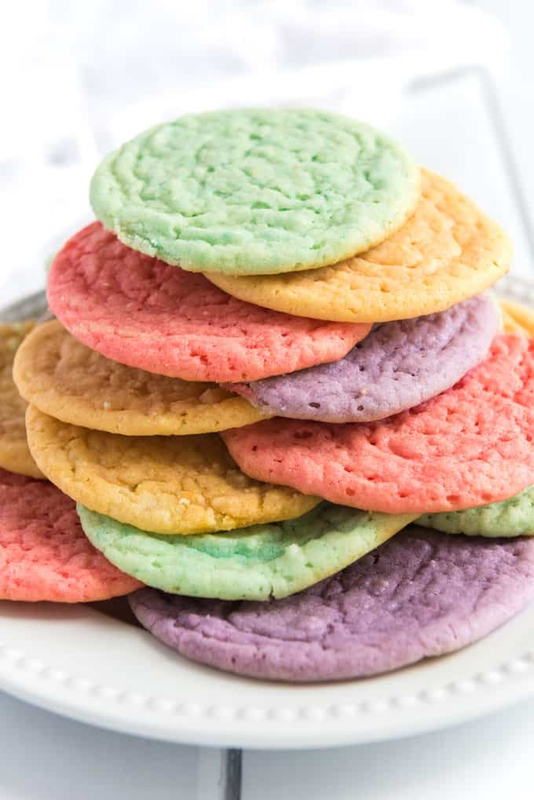 Easy 4 Ingredient Funfetti Cookies are delicious, colorful, and a huge hit with the kids. One of my favorite easy dessert recipes. Line a baking sheet with parchment paper or spray lightly with nonstick spray. Mix cake mix, eggs, and oil in a medium bowl until blended. Dough will be very thick. Roll dough into 1-1/5″ balls then flatten slightly. 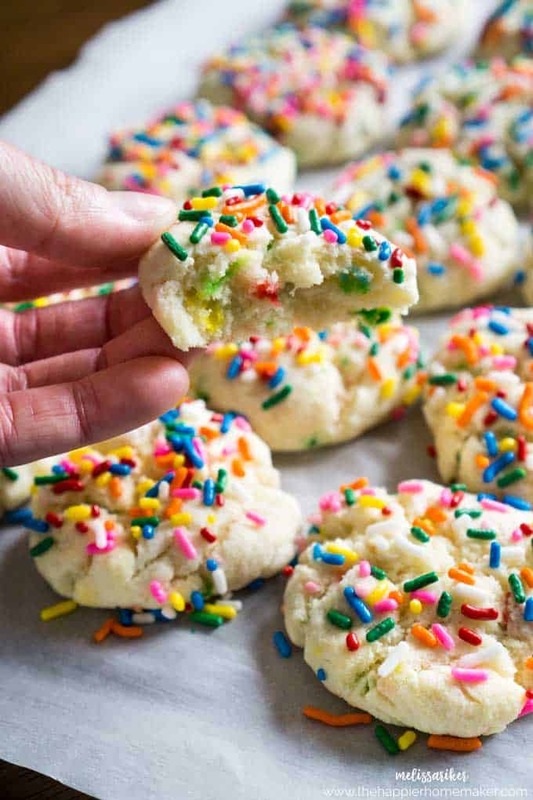 Empty sprinkles into a shallow dish and press cookie into the sprinkles to coat the top. Place on the prepared pan, keep cookies 2″ apart. Bake 8 minutes or until set and golden. Enjoy warm or keep in an airtight container up to one week. 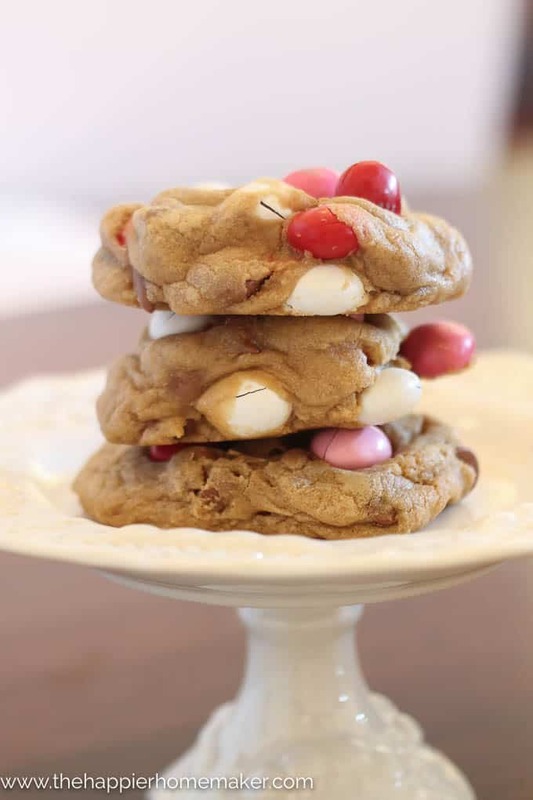 To make these cake mix cookies softer and better I think use regular cool whip in place of oil. They are so much better that way. Also can roll in confectioners sugar before cooking. Always remember to chill before cooking too. These are the prettiest cookies I have ever seen. I bet your boys were excited to come home from school and find them.